In September 1957, Lady Chelmsford died at Westminster in London, aged 88. She had outlived her husband, three of her children and lived through the reigns of six separate monarchs. During her life, she did what was expected of her as an upper class woman. She mixed with upper class society, married a suitable man and participated in a variety of social works. 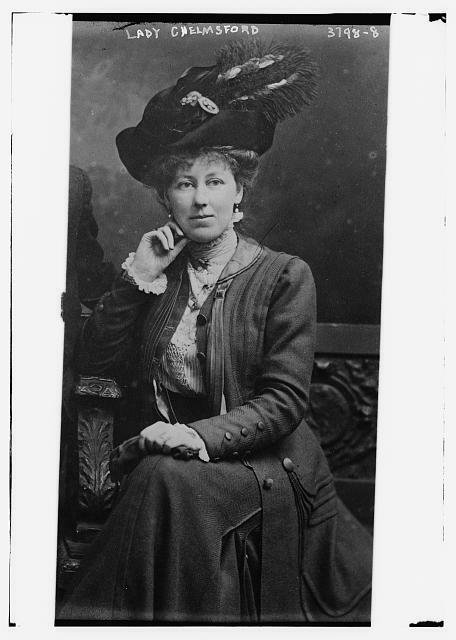 She also lived a life of travel and lived in England, Australia and India at different stages in her life. She is a perfect study to get a snapshot of upper-class life during this period and what it meant to be a lady during this time. 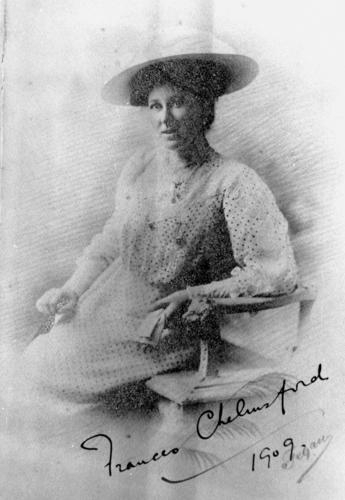 Lady Chelmsford was born Frances Charlotte Guest on the 22nd of March 1869 at London. She was the eldest daughter of Ivor Guest and Lady Cornelia Henrietta Maria Churchill-Spencer and she would be the first of nine children. Ivor Guest’s father had made his money in the mines in London and so Ivor had the stain of having gained his money from business, instead of being born to wealth like his wife. The match was not seen as a good one for Lady Cornelia and Ivor was seen as making the match to rise socially. Frances is listed as being a guest in 1883 at the Atholl gathering, a Celtic festival where Scottish highlander culture is celebrated and Highlander games are played and on the 2nd of May 1888, her mother held a ball for her coming out into society. In January 1890, she rode with a royal procession to open a park her father had donated the land for. Everyone had gathered from the town of Poole to see the opening of the People’s Park and for a chance to glimpse royalty. France’s mother actually rode with Prince George, while Frances rode in another carriage with her family and guests. Frances’ younger sister actually married before her, leading to speculation that France’s was choosy with her suitors and that she wanted a love match. On the 29th of January, 1894, it was announced that Frances was to marry Sir Egbert Sebright of Hereforshire. He was born in 1871, to John Sebright and Olivia Fitzpatrick, and was described as being handsome and from a good family. He would later die unmarried in Java, Batavia, while on a worldwide tour for health reasons in 1897. On the 17th of Feburary 1894, it was announced that the marriage would not be taking place and not long after, a new suitor was announced. 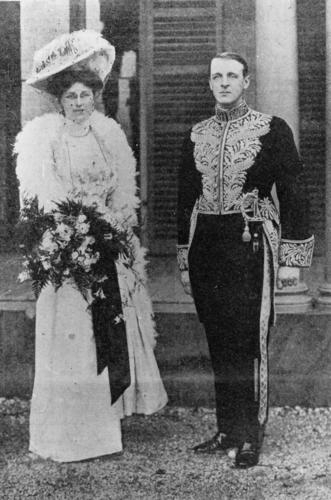 Frances was next announced to be engaged to Frederic Thesiger. Frederic was a cricket and sport lover and had graduated from Oxford to become a lawyer. On the 28th of July, 1894, they were married and the bride was described as wearing white, with silver embroidery and a diamond star brooch, which had been a gift from the groom. They then proceeded to a honeymoon in Branksome Dene, so Frances could be close to her father. Frances followed her husband to Australia when he became the governor of Queensland and involved herself in the social and moral issues of her adopted home. She was especially interested in issues involving women and children and was involved with committees which centered around hospitals, kindergartens and education of young women. Her husband was governor from 1909 until 1913 and then they returned to England. In 1916 her Frederic was made Viceroy of India and she continued to take an active role in the causes she believed in, by raising money for the Red Cross in India and making sure the troops in India were well-supplied and comfortable.